For most sites you can get a free SSL certificate from Let’s Encrypt. Most hosts off this easily through their cpanel. Ask you host how you can do this, if you can’t see the option. Some hosts when it is applied it works straight away, others take 12-24 hours for the DNS to update and it to work. Once your certificate is working – you can test it by trying the htps://addyourdomain.com format – changing the previous http:// you had. If the site loads then the certificate is working. 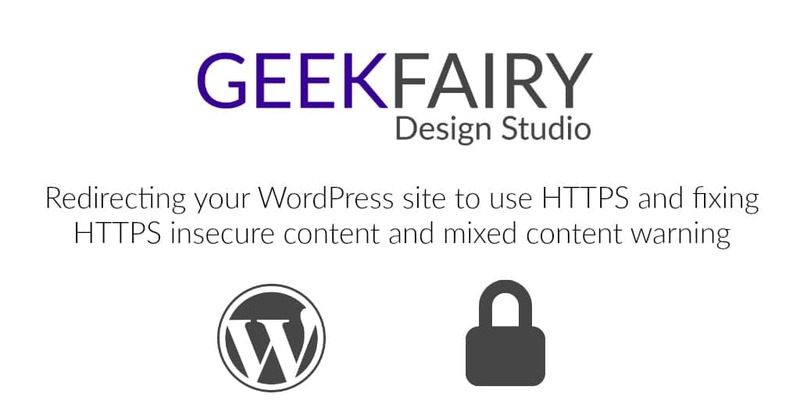 I use WP Force SSL plugin. Add it to your site in the normal way and activate it. That’s it. You may see once your site is working on https:// you still get an Insecure content warning in your browers. This is due to some of your content not loading over https:// this can be due to external links in widgets for example. I use the SSL Insecure Content Fixer plugin to resolve this. If after this it is still showing a warning go to Why no Padlock? and test your site. It will tell you what is causing it.